What are the interns making today? 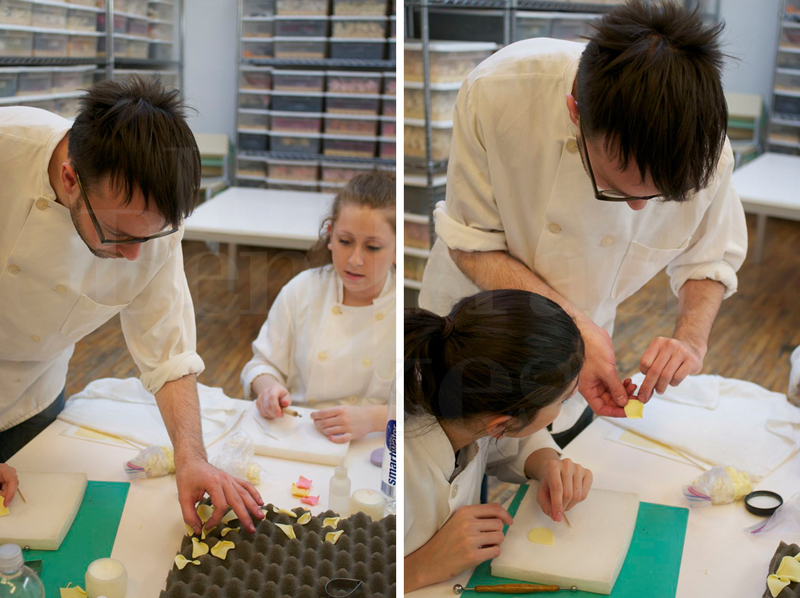 Today’s project – making the rose petals that you see gently placed on the ledges of our cakes. This is seems like a simple project, but really it’s not. Each rose petal goes through it’s own process and like in nature, no two things look a like. 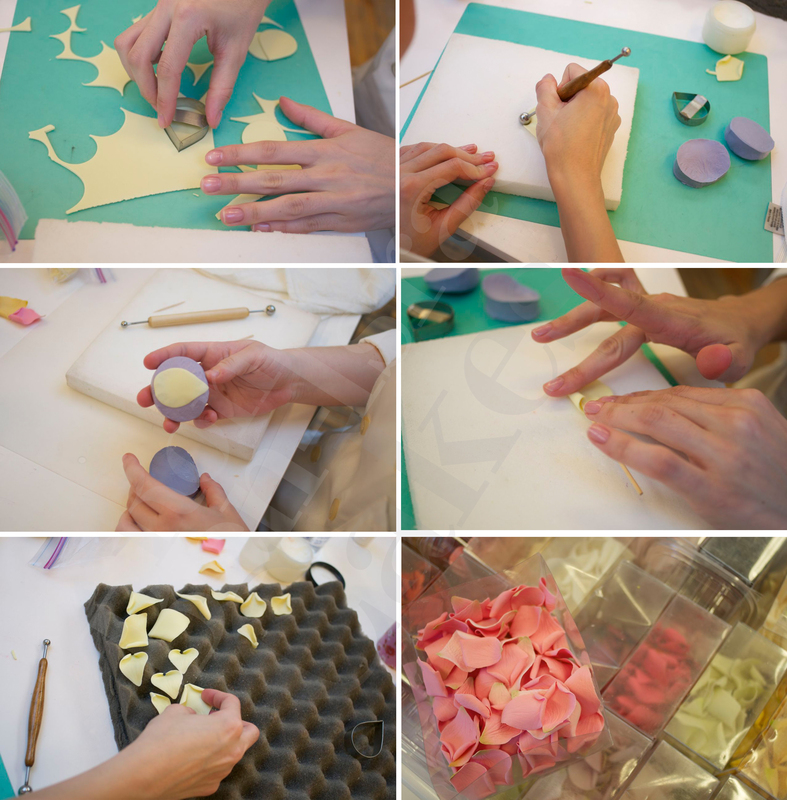 So these delicate little rose petals go through a lot of different steps just to get to there final shape. One of Jason's responsibilities here at the bakery is monitoring the interns work and instructing when necessary. 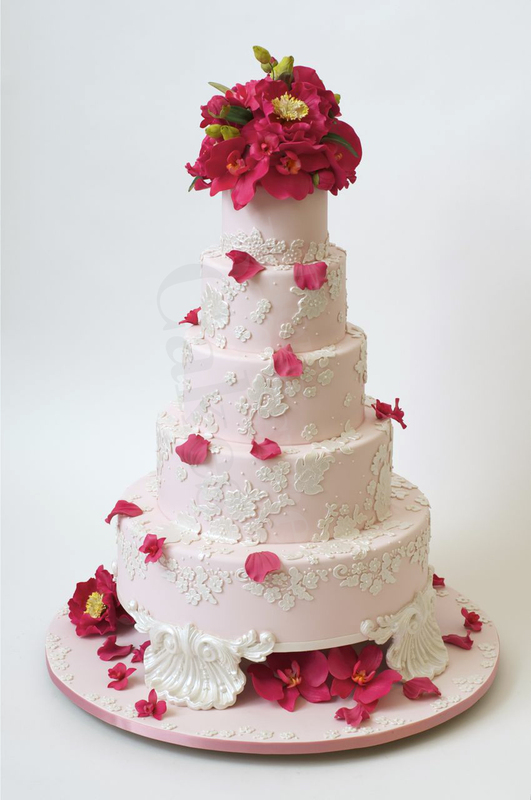 Here is a great example of how the petals are used on a cake. Beautiful cake – what make are the stencils that you have used please? I don’t think they use stencils. It must be their intricate Lace work. I adore this cake…..especially the little ‘feet’…how beautiful.